Colors are an important aspect of any exterior design, but many people find it difficult to mix and match them. Your siding and roofing system, for instance, should match each other well to create a harmonious exterior. Classic Remodeling Corp., a roofing company in the area, shares four color schemes to consider when choosing a new siding and roofing material. What makes pearl gray siding a good choice is it blends well with natural stone and concrete hardscape. This helps build a connection between your home and its surroundings. To create a sense of symmetry, use a slate blue roofing system. This roofing color provides a Midcentury Modern charm that’s perfect for contemporary homes. Ask your siding contractor for a seafoam green siding system if you want your home to stand out in its lush environment. This siding color is often used on beach houses, but it’s also a good option for a refreshing contrast to the forest foliage. A white roof, on the other hand, is a no-fail complementary color to any pastel color like seafoam green. For classic homes, a red siding system is a good option. It offers a traditional look that’s perfect for houses in rural towns and older cities. Pair subtle red siding with navy blue to create a striking contrast. Use sage green as your roofing color if you want to create a muted color scheme. This can complement your cream- or light-colored siding well. 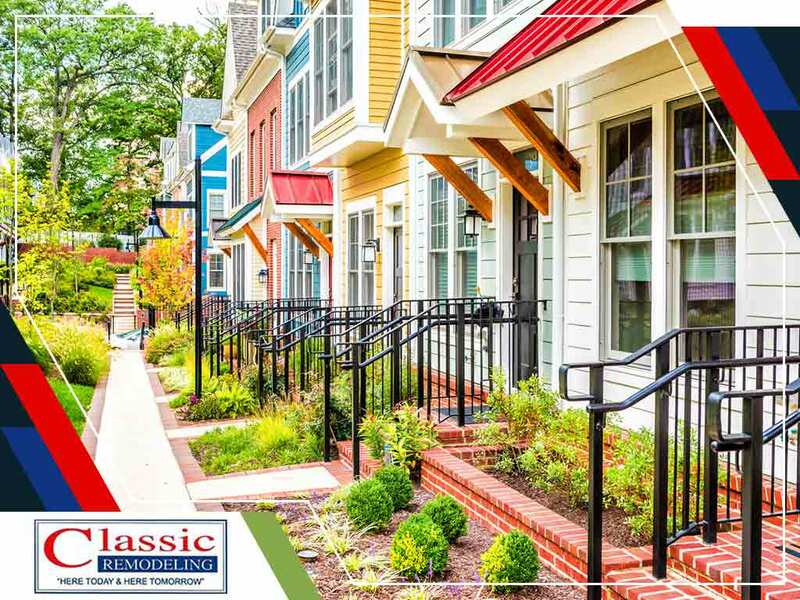 Turn to Classic Remodeling Corp. for your siding and roofing installation project. We install beautiful and durable roofing and siding materials that can help reinvigorate your home’s look. Call us today at (201) 228-9006 or fill out our online form for a free quote. We serve residents of Paramus and Hackensack, NJ.